Thanks to a vocal minority, you might have the impression that the game is dying – and this might lead you to think that you should uninstall League of Legends. In truth, the game is growing as fast as it always has. We recommend you ignore the negative people, because we have plenty of reasons why you shouldn’t uninstall League of Legends – too many to fully list here, but we’ll do our best! It’s not simply enough for a game to change. Many games receive regular updates, but fail regardless. It only works if the game keeps its core essence, but continues to evolve carefully. This is something League of Legends has managed to pull off perfectly. 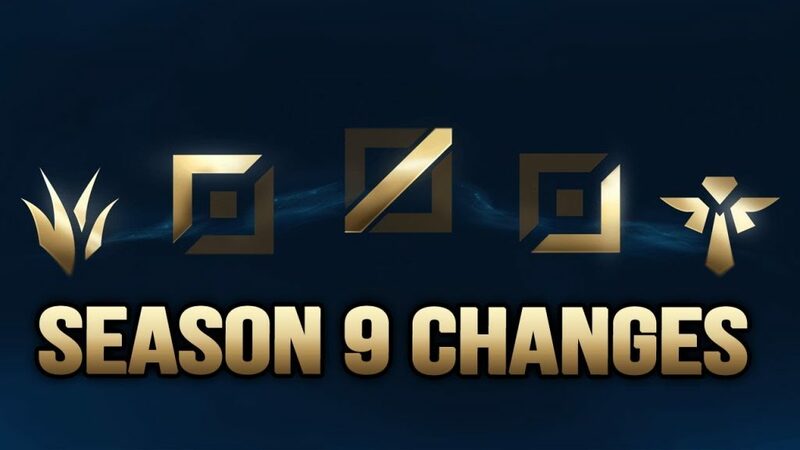 9 years ago, no one would have thought that we’d have champions who could walk through walls – or a game mode where champions have no cooldowns whatsoever. A small handful of players are concerned that Riot are heading down a slippery slope. Many people end up feeling nostalgic for the game they used to know, and yearn for it back. That’s why we have Old School Runescape, and are soon to have World of Warcraft Classic. League of Legends hasn’t developed this problem yet, and with almost 10 years in existence, we doubt it’s going to anytime soon – so long as Riot continues to use caution when making changes. That being said, we don’t really need changes, as controversial as that might sound. Hell, if League of Legends didn’t release another update, you’d still find years worth of fun packed into it. Do Riot Need To Make Changes To LoL? 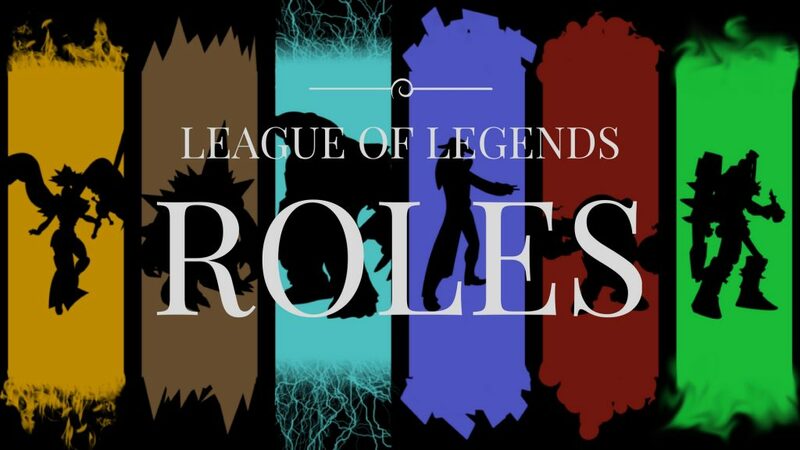 Even if not every Champion is viable at the moment, there’s still a massive roster for you to master – 137 champions to be precise – and even if you’ve become a pro at every Champion in your role, there are still other roles! A lot of the time picking up a new role can feel like playing a new game: If you’re used to maining Jungle, then the sudden need to focus on farming minions mid lane and dealing tons of damage will feel unique and fun. Or if you already main mid game, then why not try Support? Now your challenge is to remember *not* to take minions, while keeping your team alive, and getting by with less gold. Hopefully these people don’t genuinely believe that they’ve reached peak performance in every role though – a feat like that would take years, just look at the pros – there’s a reason they don’t swap from lane to lane regularly. It gets better though! We will soon have a feature that allows players to have an easier time learning new roles. And of course, there are the game modes; Imagine a world where Riot stopped putting out rotating game modes – it would probably be pretty sad. The ones we’ve had up to now have been amazing though. And, if they were rotated forever, we suspect players would still have plenty of fun. Maybe the thought of the game not changing is unbearable to you. Perhaps you’ve been one shot by Zed one too many times, or maybe the Tank meta really gets under your skin. Don’t worry, it won’t last long. If you think the game feels particularly sucky, then try to weather the storm. It will soon pass. Not every meta is going to be for everyone; For instance, we enjoy the tank meta, although most people seem to despise it. Again, many use a meta they don’t enjoy as a sign that the game’s dying. If this feels like you, we suggest you try out another role for a while – it can really make you view things from a different perspective! Hate the bruiser meta because you’re an ADC main? Learn to play as a bruiser – it will help you figure out how to counter them too. If you still find yourself wanting to uninstall league of legends, why not take a short break. Playing some other games for a few days can make you appreciate how great League of Legends is, and you won’t have to wait around while it reinstalls! We’ve also found that people who take breaks now and then tend to play better, as opposed to those who do nothing but play League in their free time. Perhaps you lost your cool and told one too many people to ‘go kys. ’ Whatever the reason, being banned is an awful experience. People love feeling like they’ve gotten around their punishment though, and why not get some cool benefits out of your ban? Not only will you not have to wait a week, a month, or however long your ban is – but you’ll also be able to show off to your friends on the rift with your swanky new skins! Visit our skin shop below to check out our wide variety of smurfs. They’re all well priced and ready to take into your next match! If all this has failed to convince you, then perhaps there’s nothing left but for you to uninstall LoL. Although, consider taking a few minutes to think about if this is really something you want to go through with. 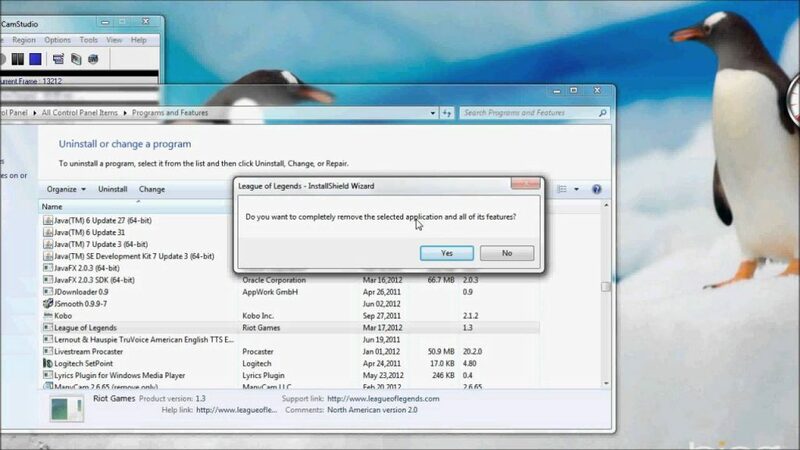 Well here we are, to uninstall League of Legends there are only a few small steps you need to complete. Select “League of Legends” from the list. It’s as simple as that, LoL has successfully been removed from your PC. If you ever find yourself missing the game – which you probably will, it draws us all back in eventually – then why not pick up a smurf? It will allow you to gain a fresh start, and a couple of great skins to boot! Pick up yours below! Pick Up A LoL Account Here!